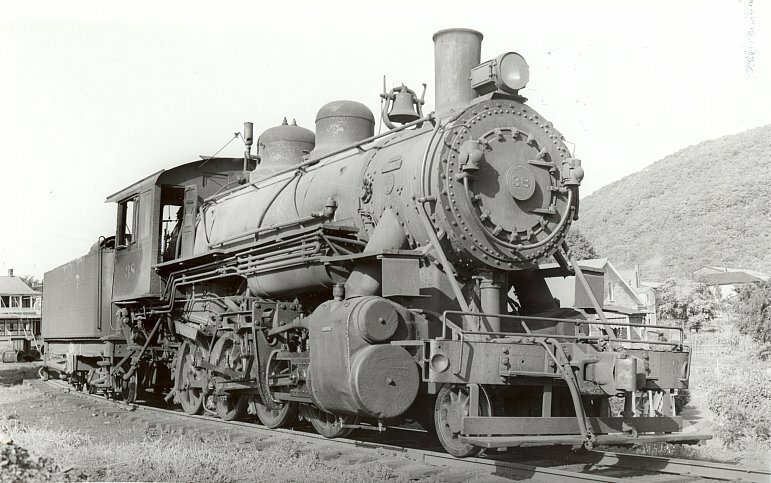 Locomotive number 38 was built in April 1927 by the Baldwin Locomotive Works, the largest manufacturer of steam locomotives in the country. 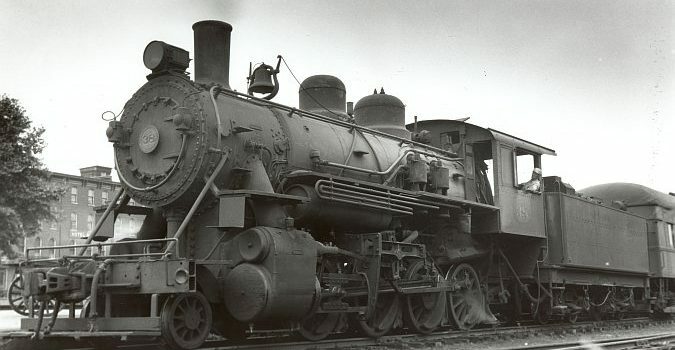 It is a common “2‑8‑0” or “Consolidated” type and was the second of two identical locomotives built for the Huntingdon & Broad Top Mountain Railroad & Coal Company. 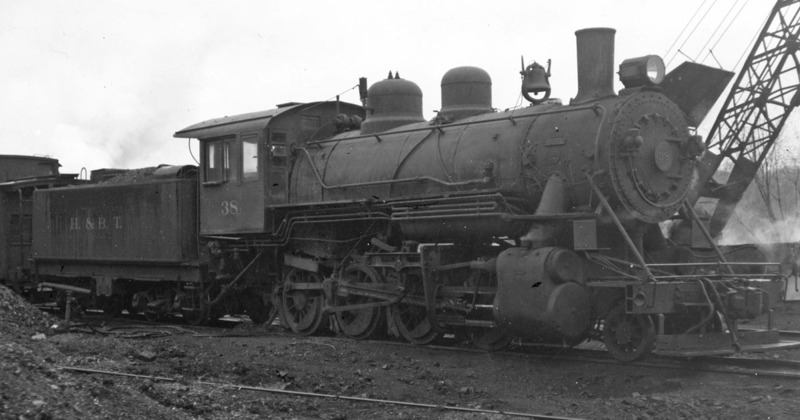 Engine 38 and her sister, Number 37, were the last new locomotives bought by the H&BTM. 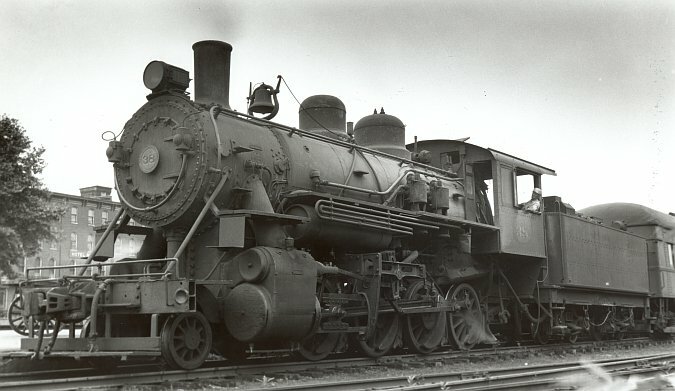 Engine 38 was acquired for freight service, but in the H&BT’s declining years the locomotive also pulled the railroad’s passenger train, which made one round trip daily between Huntingdon and Bedford, PA. The engine was in regular service for 27 years until the H&BT abandoned operations in March 1954. 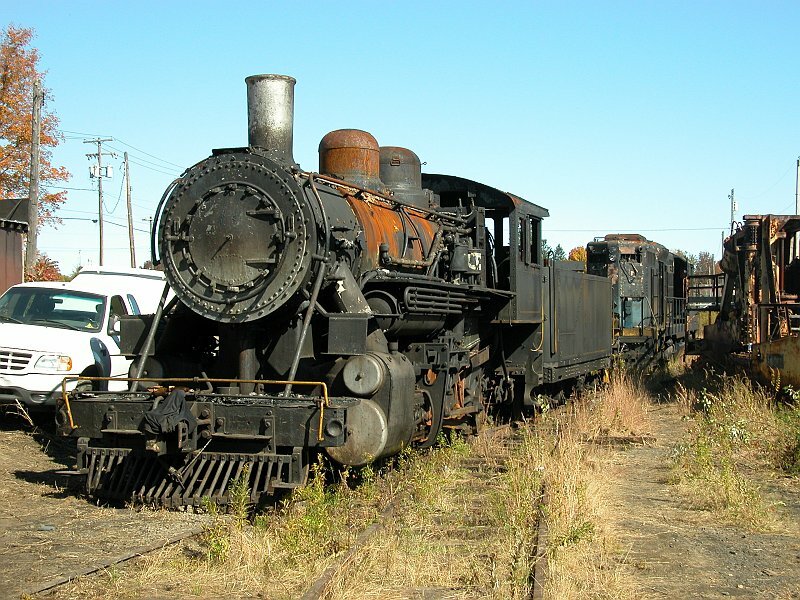 It was the railroad’s last operable locomotive and was employed by the scrap contractor to dismantle the beloved 102-year-old line. In April 1954, the new Everett Railroad Company purchased four miles of the old Huntingdon & Broad Top in and around the borough of Everett. Documents in the company’s archives indicate the Everett Railroad intended to buy engine 38, but reconsidered and opted for a more efficient diesel locomotive instead. 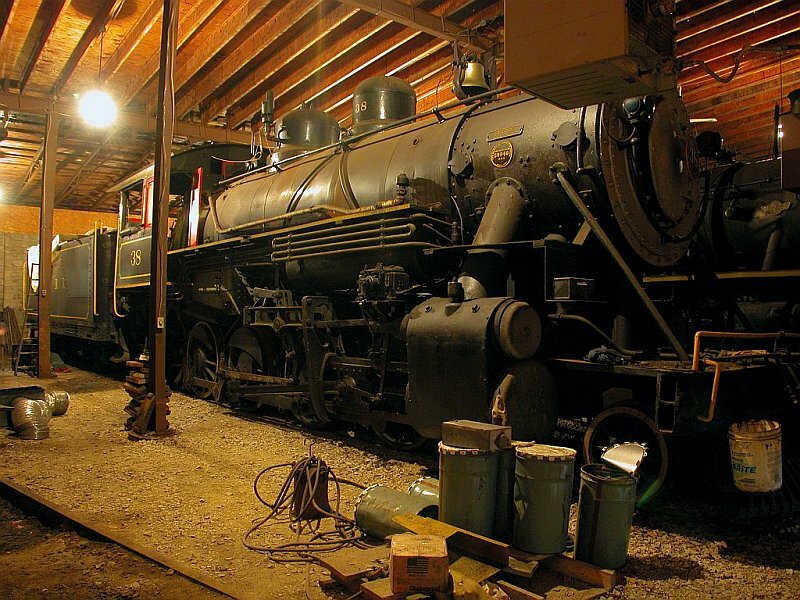 Dr. Stanley Groman, a railfan and resident of New York state, had begun collecting railroad equipment with an eye towards opening an operating railroad museum. Through an acquaintance, he learned of the H&BT’s fate, and the ultimate availability of the railroad’s equipment. He visited Huntingdon in April 1954 to find the dismantling underway. 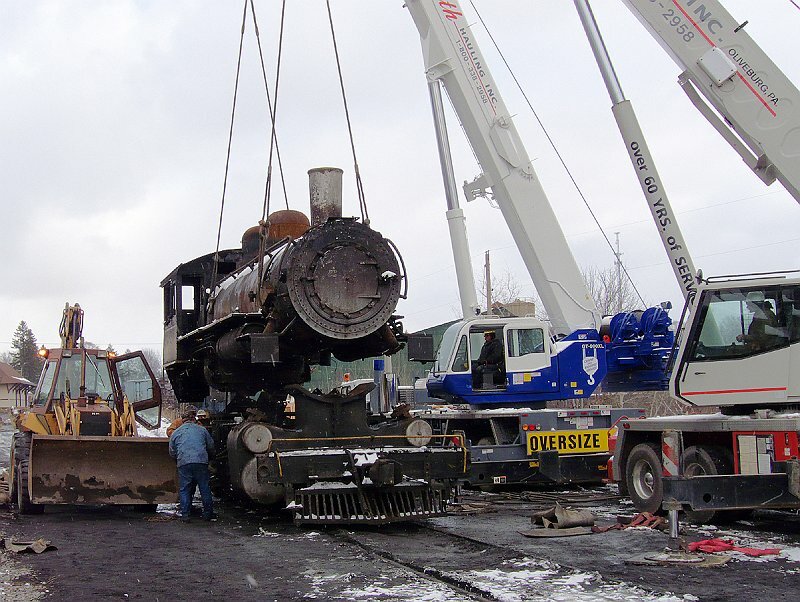 Working with Pittsburgh Rail and Machinery, the equipment broker, Dr. Groman negotiated the purchase of 38, along with a coach, RPO and a cabin car. 38 would be the only Huntingdon & Broad Top locomotive to survive. Displaying a flair for showmanship, Dr. Groman arranged for engine 38 to pull two special excursions on the New York Central Railroad enroute to his Rail City Museum in Sandy Pond, NY. 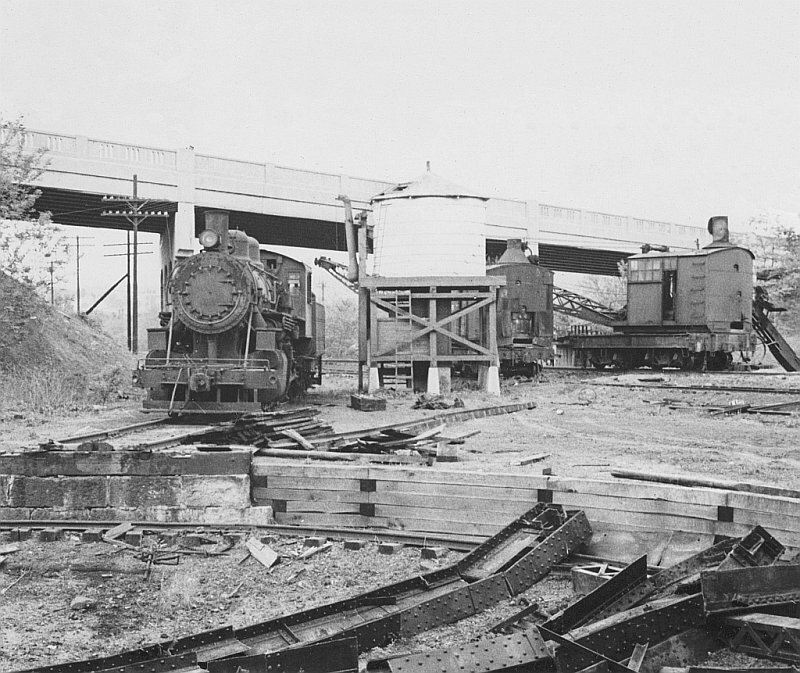 However, once the engine was moved to the new attraction, it was found to be too large to negotiate the loop of track that had been constructed at the site. Engine 38 was placed on display until it was sold, in 1968, to the Livonia, Avon & Lakeville Railroad in Lakeville, NY. The LA&L scrapped the 38’s original tender which leaked badly. Following an overhaul with the aid of the Erie-Lackawanna Railroad’s Hornell, NY, shop, the 38 was thereafter employed on seasonal excursion trains until 1976. 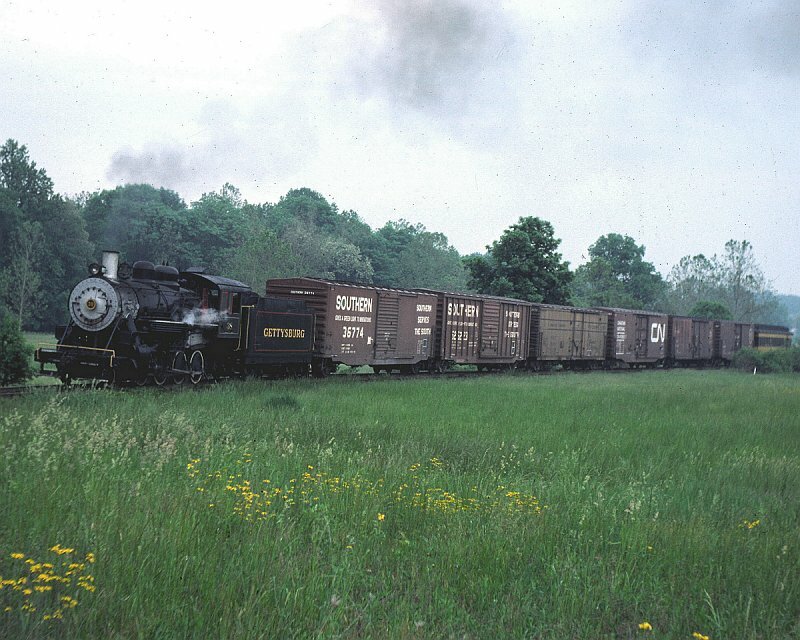 The LA&L Railroad quit the tourist trade and in 1977 sold its passenger equipment including engine 38 to Sloan Cornell for use on his Gettysburg (PA) Railroad. The locomotive ran at Gettysburg for several years before Cornell moved it to his new Knox & Kane Railroad in northwestern Pennsylvania, where he operated an excursion train through the Allegheny National Forest and over the famed Kinzua Viaduct, a 300-foot high, 2,052-foot long bridge over the Kinzua Valley. Engine 38 was eventually set aside in favor of a larger steam engine. 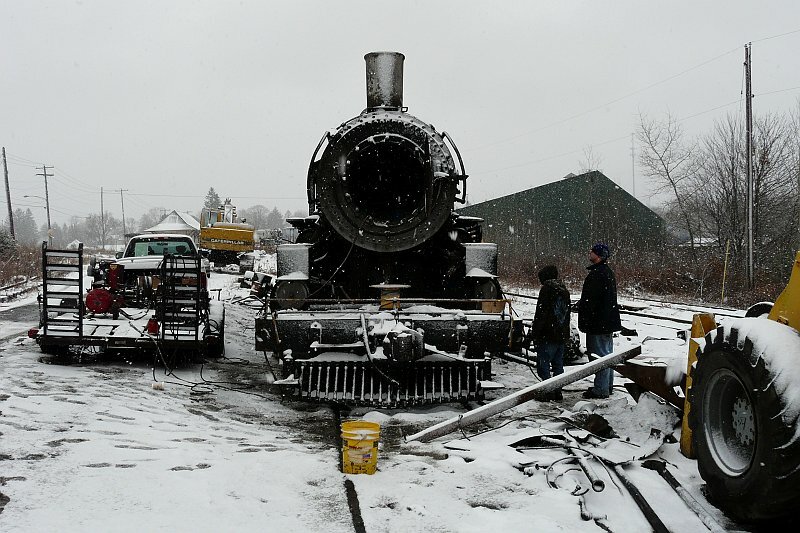 Following the demise of the Kinzua Viaduct in a July 2003 tornado, the Knox & Kane Railroad closed and in the fall of 2008 the remaining rolling stock was sold at auction, where Alan Maples, president of the Everett Railroad, purchased locomotive 38. 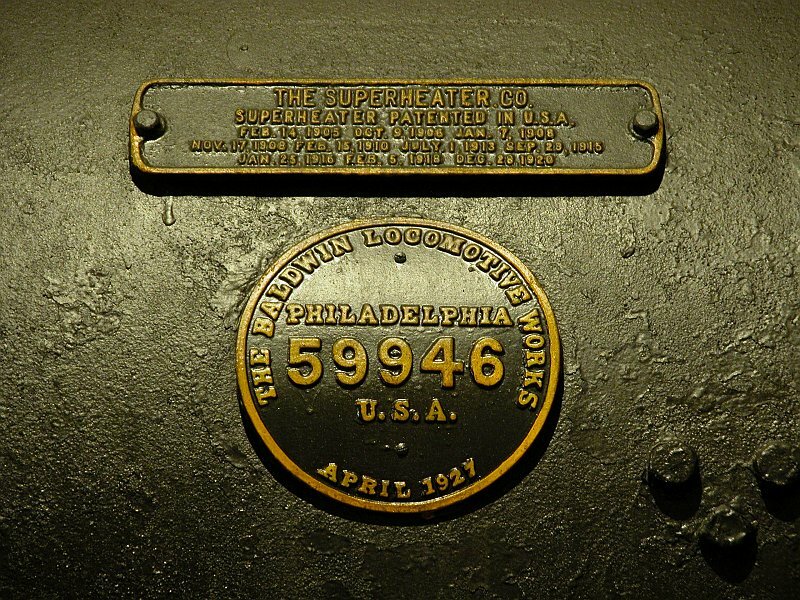 At present, the boiler for engine 38 is stored on our railroad and will be undergoing repairs as time and resources permit. There is no deadline or schedule for completion of the work and the engine is not available for public inspection. As restoration progresses, we will update the web page with additional information. Check out our photo gallery for past and present photos of engine 38.